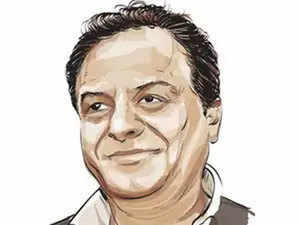 Moin Qureshi, a millionaire meat exporter, was also the man behind downfall of two other CBI chiefs. Alok Verma, reinstated as CBI director by the Supreme Court barely 48 hours ago, was removed from his position this evening by a committee led by the Prime Minister Narendra Modi. Charges of corruption against Verma were found with merit, prima facie, according to sources. Once again, one name that emerged at the centre of this entire CBI versus government episode is Moin Akhtar Qureshi, who was also behind the downfall of two CBI chiefs, A P Singh and Ranjit Sinha. Who is Moin Akhtar Qureshi and what is his connection to this entire squabble between CBI director Alok Verma and special director Rakesh Asthana? An alumnus of Delhi’s St. Stephen’s College, Moin Akhtar Qureshi is the millionaire meat exporter from Kanpur, who faces multiple investigations, ranging from tax evasion to money laundering and corruption. Qureshi started his meat business in 1993 in Uttar Pradesh’s Rampur. Over the years, his business grew exponentially, allegedly due to his wide network of influential friends in the corridors of power. Besides his meat business, Qureshi had established an elaborate web of hawala channels in Dubai, London and Europe. He is also accused of spending large sums through hawala transactions and other modes to oblige government officials, including CBI officers and politicians. The current case is premised upon the allegations by Asthana who alleged that Alok Verma took Rs 2 crore bribe from Sathish Babu Sana, to give relief in the Qureshi case. Sana, an alleged aide of Qureshi is a Hyderabad-based businessman. He is the connecting link behind the fight between Verma and Asthana. Verma had also filed an FIR against Asthana alleging that the latter took Rs 3 crore from Sana. Moin Akhtar Qureshi's name first hit the headlines in 2014, when it was found that he visited then CBI chief Ranjit Sinha’s residence at least 70 times in over 15 months. Sana reportedly told the Enforcement Directorate (ED) last year that he had paid Rs 1 crore to Qureshi to get bail for his friend in a CBI case through Sinha. Sinha has repeatedly denied all charges. Later in 2014, reportedly Qureshi had exchanged messages with another CBI director, A P Singh, who headed the agency from 2010 to 2012. Initially, the case was probed by the income tax department and in February last year, the CBI too registered a case against Singh to probe his links with Qureshi. The allegations cost Singh his ‘member’ post in Union Public Service Commission as he had to step down. Singh too has denied all charges against him.